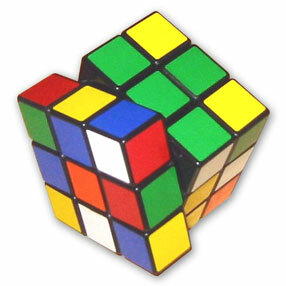 It was actually invented in 1974 by Erno Rubik, and In September 1979, a deal was signed with Ideal Toys to bring the Magic Cube to the Western world. The puzzle made its international debut at the toy fairs of London, Paris, Nuremberg and New York in January and February 1980 – hence the entry here in onlythe80s. The challenge was always how fast you could solve the puzzle. I was hopeless, and found it was easier at first to actually pull it apart and line up all the coloured cubes in their correct positions. But for the record, The current world records for both average and single times were set by Edouard Chambon. He set an average of 11.48 seconds and a best time of 9.18 on February 23, this year. There are plenty of sites on the net that systematically show you how how to solve the cube. None better than here. Ahh the Thompson Twins – iconic 80’s music band. Who could forget Hold Me Now and Doctor! Doctor! In preparation for this article, I did a bit of research on the band and found a few facts that I did not know about them. The band, named after the bumbling detectives from Herge’s TinTin, first formed in 1977. Although this site is 80’s based, the band didn’t get famous until the 80’s. Tom Bailey was a part of the original lineup. Arriving in London, The ‘twins’ had very little money and lived as squatters. Allanah Currie, who joined the Thompson Twins later was also a squatter and that was how they first met. Joe Leeway joined the twins in 1981 when the first album was recorded. Even though Currie had sang on the their first album (a product of…..participation), she was not classed as a full member of the group. The group became famous by hitting the UK Singles chart and US billboard 100 in 1983 with their songs Lies and Love on your side. Hold Me Now was released in late 1983 which hit the top 10 in the UK and US. Further hit singles followed in 1984: “Doctor! Doctor!”; “You Take Me Up” (reaching number two and their biggest UK hit); “Sister of Mercy”; and “The Gap” with its Middle Eastern rhythms (this song was not released in the UK). The corresponding album, Into The Gap, was one of the bestsellers of the year, and topped the British album charts. The band also commenced a world tour in support of the album. Joe Leeway left the band in 1986, and after this the band had limited success. Whether this was because of the trio not together I am not sure. 1988 saw the birth of a child for Tom and Alannah who had become a couple. They however, didn’t get married until 1991. They actually moved to New Zealand in 1992 with their (now) two children. According to Wikipedia, 1991’s Queer would be the band’s swansong, and was supported by various techno-induced singles under the moniker of Feedback Max (in the UK) to disguise club DJs of the source of the records. The single “Come Inside” reached number seven in the U.S. Dance Chart and number one in the UK Dance Chart. However, once it was discovered that the Thompson Twins were behind the record, sales dropped and the album never had a UK release. Bailey and Currie split up in 2003, and are now divorced. They both left New Zealand and live separately in Britain, but are still close friends. Unfortunately, The Thompson Twins do not have an official website but a couple of fan sites I found are here and here. Some Trivia: Alannah Currie was also a songwriter, and wrote Deborah Harry’s international hit ‘I Want That Man’. Rick Astley Would Never …. This is currently being circulated around the internet, and I think it is great! 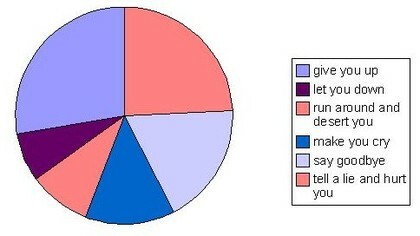 If you don’t understand it, then you obviously didn’t love the 80’s as much as the rest of us. One of the most iconic movies of the 80’s was Ferris Bueller’s Day Off – the story of a kid who wagged school and spent the day with his best friend and girlfriend. I think it is every kid’s dream to have a day like this and get away with what he did. And what a legend he was at school too! There are plenty of web pages dedicated to ‘Save Ferris’ – just to show what sort of a cult following it has. I found this great poster which I have yet to frame and hang on my wall at home (due to the size), but when I unroll it and show my friends they love it. 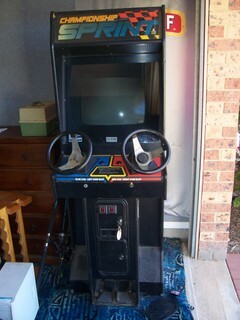 Back in the 80’s I loved arcade machines – in fact I still do. I used to own a couple of pinball machines but the latest machine I bought was Championship Sprint. It is a 2 player standup car racing game by Atari. Simple in design but very addictive – especially when you don’t have to pay for each game! Bascially, race around the track and win. During the race you will see wrenches. Run over them, and after you have three you can buy performance or handling upgrades for your car. As I said very addictive. The specs, by todays standards, are very lame ….